Product No. GMDK02; dimensions 17 x 11 in. ; full-color printed on cardstock; predominant colors: green, orange, yellow. Decatur Foundry is an all nobake foundry specializing in thin walled gray and ductile castings. 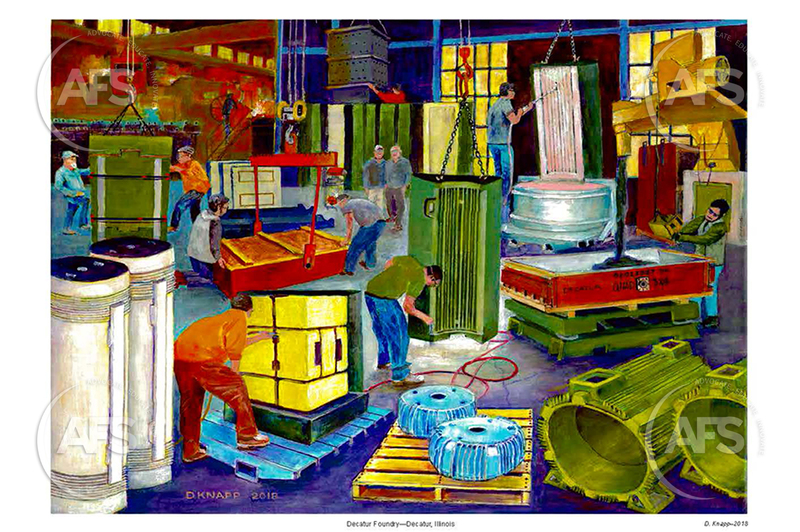 David has painted a scene showing Decatur personnel working on on large fin electric motor frames, from mold box filling to casting.